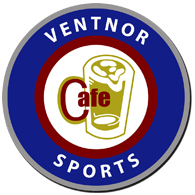 Ventnor Cafe prides itself on being the bar Philly fans go to for sports. Whether it be the Phillies, Eagles, Flyers, or Sixers, Ventnor has you covered. The bar also offers a number of local Philly beers to make it a welcoming place for any Philadelphia ex-pats.